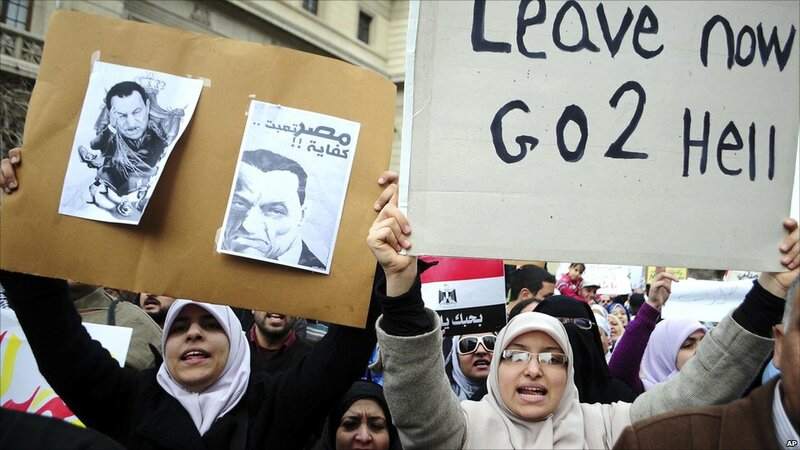 Anti-government protesters in Egypt are staging another mass rally billed as a "day of departure", as their efforts to overthrow President Hosni Mubarak continue for an 11th day. 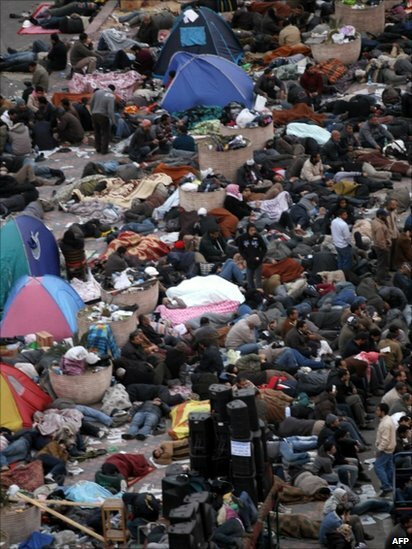 The protesters have been crowding into Cairo's Tahrir Square - the epicentre of the demonstrations. 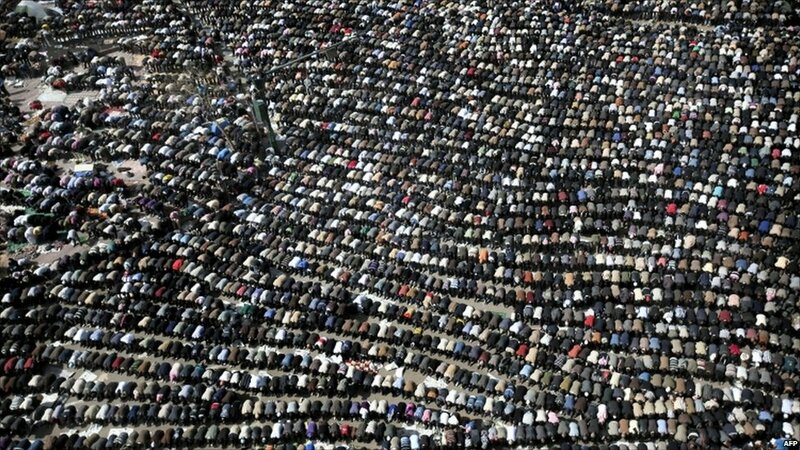 Friday prayers were held at the square and speeches and chanting have followed. 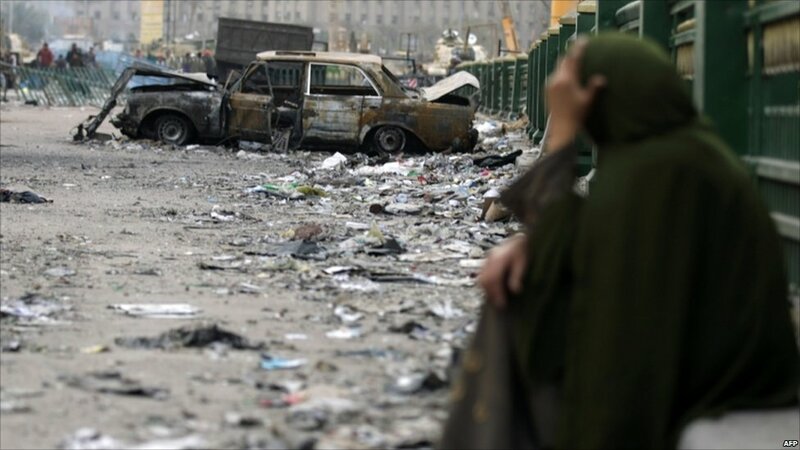 Correspondents say there is a much calmer atmosphere in central Cairo after two days of brutal clashes. 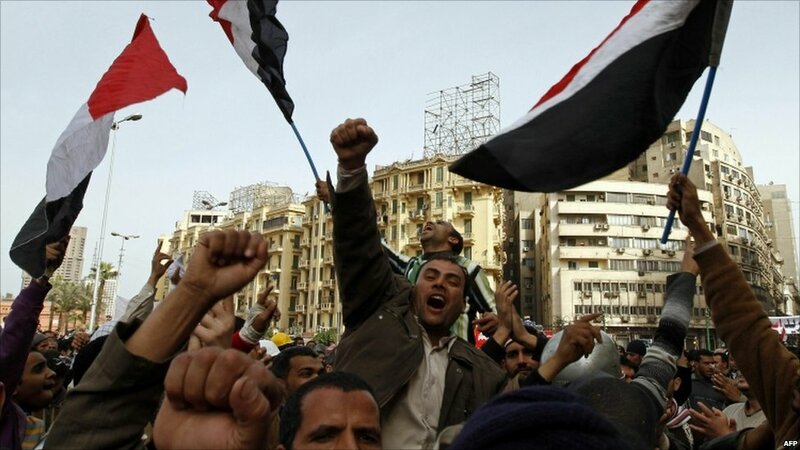 There had been running battles between groups armed with stones and makeshift weapons as supporters of President Mubarak tried to force the protesters out of Tahrir Square. But now there is now a much stronger army presence. Soldiers in riot gear have set up barbed wire barricades in order to keep the two sides apart and are searching people entering the square. 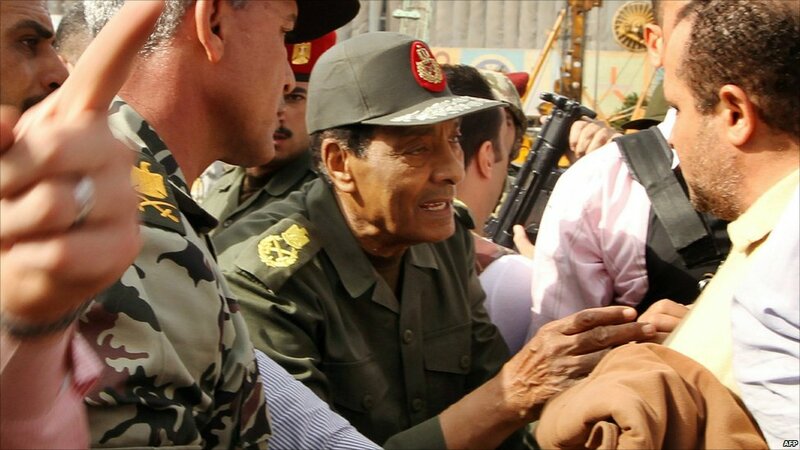 Egyptian Defence Minister Mohamed Hussein Tantawi visited troops in Tahrir Square while protesters chanted that they would not leave until Mr Mubarak stepped down. 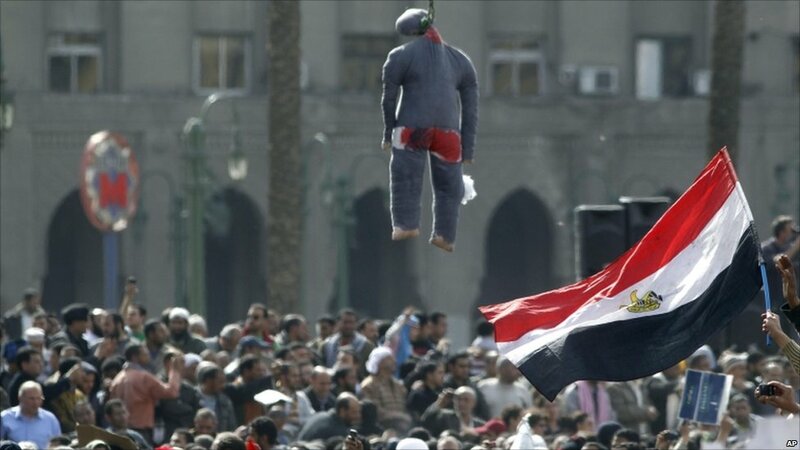 As on other days, an effigy of President Mubarak has been hanged. The protesters say they want free elections and an end to corruption. The president has said his departure before elections planned for September would leave Egypt in chaos. There have been few signs of the large groups of Mubarak supporters that first appeared on Wednesday. Here, anti-government protesters in Tahrir Square say they have seized a supporter of Mr Mubarak. 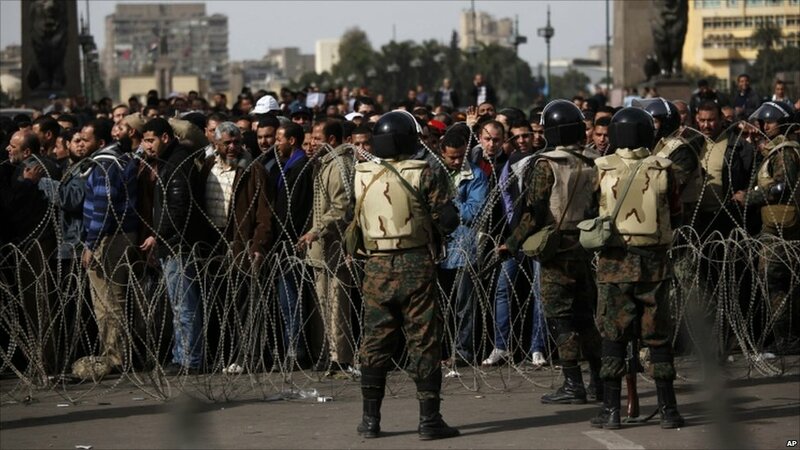 Residents of Cairo have been carrying food and medical supplies to the protesters, but some said the army had confiscated their supplies before they could reach the square. Many protesters remained in the square overnight. After 10 consecutive days of demonstrations, many are exhausted but say they are determined to see Mr Mubarak leave office before they go home. Thousands of foreigners have fled Egypt in recent days. The unrest has hit Egypt's economy as businesses have closed and tourists have fled or cancelled visits. There have also been anti-Mubarak protests in a number of other Egyptian cities, including this one in Alexandria, the second city. 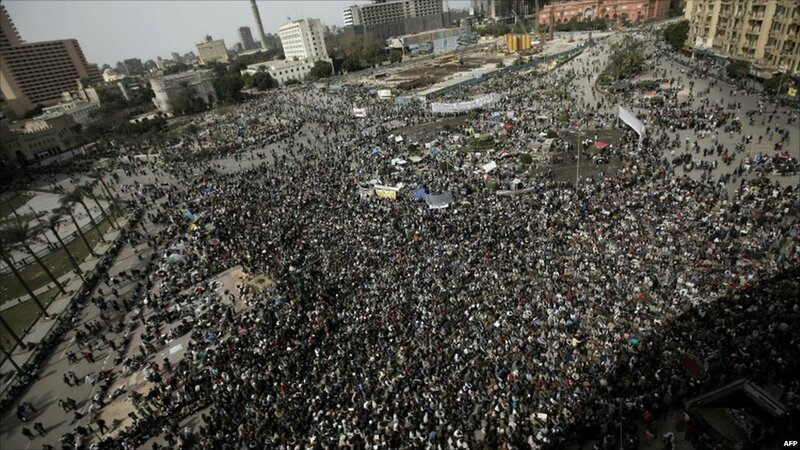 Cities around the world have seen anti-Mubarak protests. 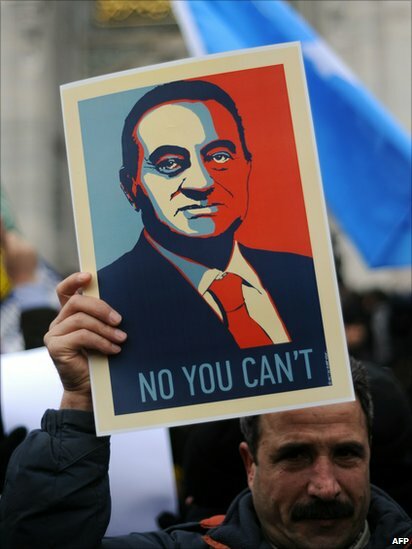 In Istanbul, Turkey, a protester holds a portrait of the Egyptian president that plays on US President Barack Obama's campaign slogan.